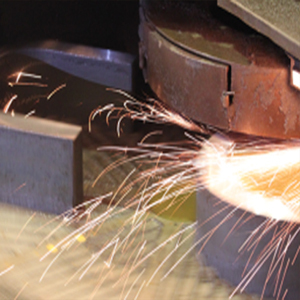 Our Lumsden Grinder range allows us to offer a precision steel grinding service which complements our profile cutting operation. Our Lumsdem Grinding machines offer grinding capabilities pf up tp 126” (3200mm) diameter. We also have Lumsden Reciprocating machinery offering up to 192” (4877mm) x 26.25” (667mm) with overhang capabilities. We have expert abilities to work to close tolerances (see below), offer competitive pricing and a quick and professional turnaround. Having over 25 years experience of providing grinding services to British Industry, we are confient you will be pleased with the service and quality we offer. We estimate we supply our finished products to over 40 different Industry sectors to include, Gas, Oil, Nuclear and other renewable energies to name a few. Quality, reliability and consistency are key for our customers. We understand the importance of ensuring ground profiles are delivered on time and in full and meet the specification requested. This is why our ISO9001 certificated quality management system places customers at the heart of what we do. All jobs are checked throughout the order and production process to the customers order and we regularly audit our processes to guarantee compliance and to identify continual improvement opportunities. Our Quality Management System is audit by BSI a UKAS accredited body. We know traceability is essential for customers working in some industries, especially in the production of safety critical parts, that is why our production processes along with material origin and supply chain is fully traceable, for more information on traceability please let us know your requirements when you place an order or enquiry.